Brightest está certificado por ISO/IEC 17024 y está orgulloso de poder ofrecer exámenes para certificaciones para profesionales en todo el mundo en diversos idiomas. Actualmente, ofrecemos el portafolio actualizado de ISTQB®, entre otros. 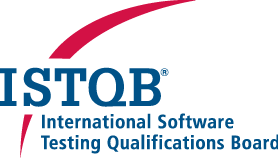 ISTQB® (International Software Testing Qualifications Board) ha creado el estándar más acertado del mundo de conocimientos y habilidades para los testers de software. La creciente cartera de productos ISTQB® se divide en 3 áreas: Core (las habilidades estándar que siguen siendo relevantes en todos los ambientes de trabajo), Agile (para probadores que buscan crecer o demostrar su conocimiento existente de las buenas prácticas en el entorno Agile) y Specialist (para aquellos cuyos trabajos implican una comprensión profunda de ciertos temas). "CTFL" es la abreviatura de "Certified Tester Foundation Level". "CTAL" es la abreviatura de " Certified Tester Advanced Level ". The key objective Blockchain United is to help you go from zero knowledge of Blockchain or Ethereum, to learn all the key concepts and get started with writing Eathereum smart contracts and DApps (distributed applications) within 3 days. After taking this course, you should be able to go beyond simple token contracts and focus on building DApps and smart contracts for different use cases. Our aim at DevOps United is to support you moving one step further into the Agile world, into the DevOps code-based work methodology and culture. You will learn how to use new tools and practices to reduce the traditional distance between programming and systems technicians, in order that they can build, test, and release software faster and more reliably. This new collaborative approach that is DevOps will allow your teams to work closer together, bringing greater agility to your business and notable increases in your productivity, ability to solve critical issues quickly, and to better manage unplanned work. Join the DevOps United community and embark on the DevOps journey today! What makes SeU Certified Selenium Engineer (CSE) unique? Who should take SeU Certified Selenium Engineer (CSE)? Testers focused on manual testing and want to step into the world of test automation. Test automation engineers who has just started with Selenium or you have done test automation with other tools, and now want to explore Selenium. Engineers with an intermediate level of Selenium knowledge, requiring further insights on how the Selenium components best fit together for professional Selenium-based automation. What is a Design Sprint? Based upon the original 5-day process created by Google Ventures - it's an ideal framework to validate ideas and solve problems - in just a matter of days! seek to drive innovation and encourage user-centred thinking. want to improve or adapt your products or services in a few days. are looking to quickly create a tangible prototype to test with customers. Earners of this badge understand the best practices of design thinking and innovation associated with Design Sprints. They have a strong command of the 5 Design Sprint phases (Understand, Collect Ideas & Sketch, Decide, Prototype and Validate), and have the ability to validate ideas and compile solutions while implementing the Design Sprint theory. The cloud has changed the way applications are hosted and tested. The CU Certified Cloud Testing - Foundation Level certification course focuses on essential cloud characteristics and cloud specific tests that a tester needs to know. The certification itself is independent of any specific cloud provider; however, hands-on excercises will be performed on several of these providers. The certified cloud tester - foundation level will be able to perform various types of cloud specific tests and also understand the differences between testing the cloud and testing apps on the cloud. The course doesn't teach basics of general testing as it is expected that the examinee has that knowledge. Tiene diferentes maneras de prepararse para certificarse a través de Brightest. Primero, cómo prepararse para el examen de certificación. Generalmente le recomendamos la formación a través de un proveedor ISTQB® acreditado. Sin embargo, si usted tiene mucha experiencia en el área en la que usted desea obtener la certificación, estudiar por cuenta propia puede ser una gran opción. Es bienvenido a hacer un examen en cualquier momento deseado, siempre y cuando tenga la experiencia necesaria o los requisitos de certificación. Participe en un curso de formación con uno de nuestros proveedores acreditados (el examen tendrá lugar después de la formación).